Sultan Qaboos University (SQU), represented by its Deputy Vice Chancellor for Postgraduate Studies & Research Dr Rahma Ibrahim Al Mahrooqi, signed a sponsorship agreement with Occidental of Oman (Oxy), represented by its President and General Manager, Stephen Kelly. According to the pact Oxy will provide a contribution of US$2.7 million for purchasing equipment for the university’s Sustainable Energy Research Centre (SERC). Dr Rawya bint Saud Al Busaidiah, Minister of Higher Education and Chairman of SQU Council, and Dr Ali bin Saud Al Bimani, the Vice Chancellor SQU were present on the occasion. The generous contribution provided by Oxy as SERC’s exclusive sponsor will allow the centre to enhance its reputation as the leading research institute for promoting novel and sustainable energy solutions for Oman with a special focus on renewable and sustainable energies. The equipment that SERC plans to purchase with Oxy’s contribution will be utilised in pursuit of excellence in research and academic endeavour in four main themes: energy policy and strategies, renewable energy, integrated electrical energy systems, and energy management. SERC’s researchers and academics will work within these themes to achieve a diverse range of goals, including developing energy technology solutions, energy policy, sustainable development research, and education and capacity building programmes. It is through focused activity in these areas that SERC will strive to achieve its core objectives. These include fostering a multidisciplinary and collaborative environment for researchers, industry representatives, policy makers, and other concerned stakeholders, to interact in the promotion of Oman’s energy solutions and policies, undertaking independent and objective research that supports national, regional and global interest in sustainable energy, and educating and training researchers and policy makers through postgraduate degrees and short courses in the power and energy field. As the centre seeks to contribute to sustainable development at national, regional and global levels through social equity, economic efficiency, technology and policy analysis/research, it will support industry, government, and communities across the country as Oman diversifies its energy resources through the wider use of renewable energy sources. Upon the signing of the agreement, Dr Rahma Al Mahrooqi highlighted the importance of SQU conducting research that supports the Sultanate of Oman’s development goals. Stephen Kelly stated, “Oxy is pleased to offer this support to the Sustainable Energy Research Centre through our Social Responsibility Programme. 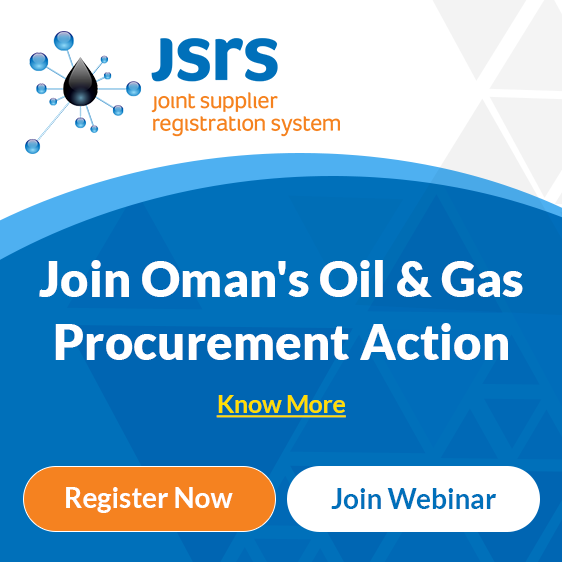 Through this programme, we are keen to invest in projects that we believe can make a direct positive contribution to Oman and the lives of its people, and that also support Oxy’s core values." "We firmly believe that the work the SERC is doing in sustainable energy has the potential to have a large and positive impact on the country’s economic diversification and achievement of sustainable development,” he added. Dr Amer Al Hinai, the director of the SERC, added, “In its relatively short existence, the Sustainable Energy Research Centre at SQU has managed to achieve a great deal in the field, and has firmly established itself as the premier institute of research in sustainable energy in Oman. Since it was founded in 2017, the centre has been involved in seven ongoing research projects that are supported by a variety of stakeholders." "The generous support that Oxy has provided through this agreement will see the centre continue to develop its research capacity in sustainable energy, and provides access to the state-of-the-art equipment that the centre will employ to stake its claim as one of the leading sustainable energy research centres in the entire region. Oxy, as the centre’s exclusive sponsor, has given research and academic activity at SERC a huge boost and I am happy to express my gratitude for their vision and commitment,” he added.